At the GPAJ Annual Conference held on 2 December 2017, three presentations were made by Ms. Ayano Matudo (Japan International Cooperation Agency: JICA), Prof. Miki Honda of Hosei University and Prof. Yasunobu Sato of the University of Tokyo and commented by Prof. Naoki Ishihara of Ritsumeikan University. First, Ms. Ayano Matudo (Japan International Cooperation Agency: JICA)　gave a presentation entitled “Problems of criminal justice and measures against terrorist crimes / organized crimes in French-speaking Africa”. She focused on how to deal with the situation after a crime has occurred based on the case in Sahel area. The crucial issue is how to go about judicial proceedings, and more specifically, how to gather evidence, how to ensure the independence of judiciary, and how to ensure that proceedings are according to human rights standards. 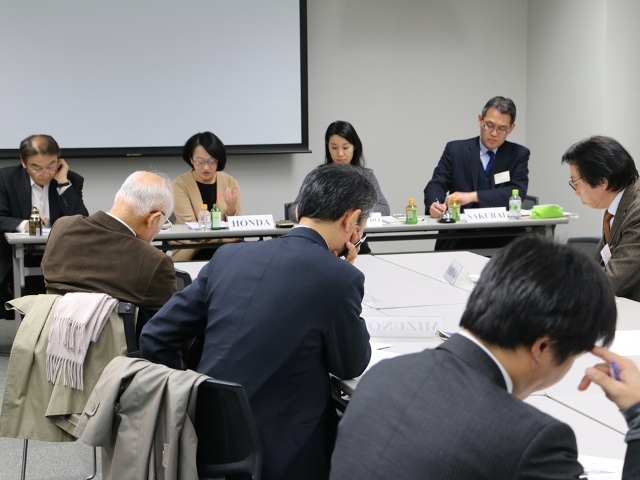 In the discussion, it was pointed out that the difficulty of creating universal evaluation criteria on the rule of law cannot be underestimated, but that Japan could possibly lead such standard-making. 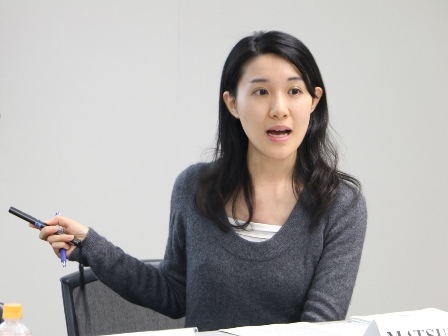 Next, Prof. Miki Honda of Hosei University made a presentation: ‘”Rule of Law” as Maintenance of International Order and Peace Building Strategy: Can legal norms be shared as a universal value standard?’. She stated that it is in reality difficult to operate with the principle of rule of law in the field of peacebuilding. That is because there are conflicts between local and Western values. Moreover, what is being reconsidered at judicial institutions like the International Criminal Court is what in fact justice is. Based on this, she insisted that it is important to establish the rule of law in the field with an emphasis on hybrid values, combining universal and local values. 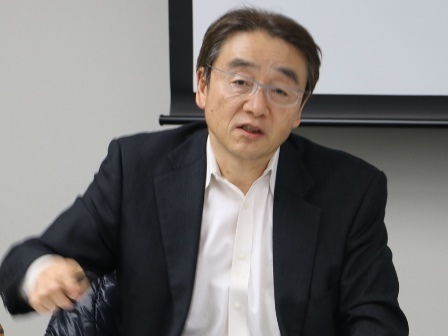 Furthermore, Prof. Yasunobu Sato of the University of Tokyo pointed out that the reality of legal institutional support is that much of it is made without grasping the real situation on the ground. That is the pressing of Western values, and when the initial expectation is not achieved, a resulting structure affects vulnerable citizens. In other words, it is an “inflationary state of the law”. 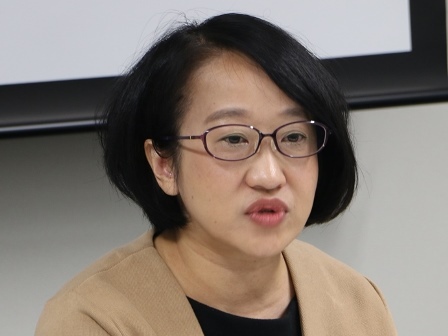 As a solution, Prof. Sato stressed the importance of monitoring the effectiveness of legal institutions and of creating an environment that all citizens can access to justice. More specifically, it was emphasized that developing multilateral diplomacy, such as through ASEAN and South-South cooperation, is important. 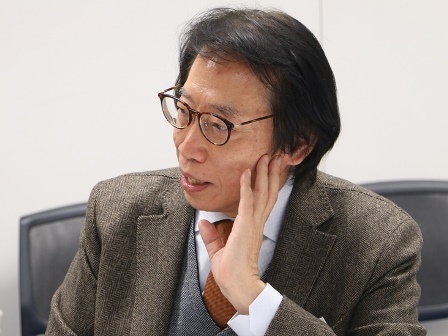 Finally, Prof. Naoki Ishihara of Ritsumeikan University made comments. He explained the rule of law is being accepted in the international community, but how actually to implement the rule of law in practice remains difficult. The operable system and human resources are necessary. He concluded that local people are the key to breaking through these complex situations.